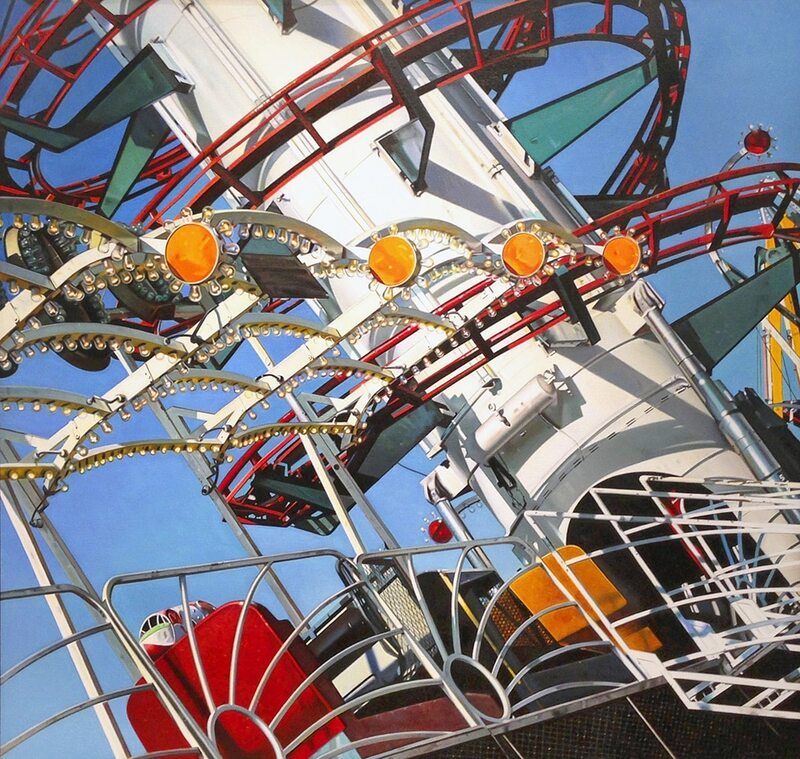 David Parrish (born 1939) is an important first generation Photorealist painter. In the 1980s and early 1990s, he distinguished himself by creating intricate motorcycle paintings and delicate still lifes of Marilyn Monroe sculptures. Other iconic personalities, such as Elvis Presley, also became subjects of David Parrish’s bright and skillfully crafted paintings. Parrish’s artwork can be associated with Americana work and Photorealism. It is lively and invigorating and an important example of the expression that is possible within the objective art of Photorealism. David Parrish was born in 1939 in Birmingham, Alabama. In 1957, he attended Washington and Lee University in Virginia. In 1961, he earned his Bachelors of fine arts at the University of Alabama Tuscaloosa. “Four decades as an “official” Photorealist–the early decades spent chasing, photographing, and painting motorcycles…Then later, the porcelain Elvises, Marilyns, Deans, the masks, and myriad kitschy gewgaws, toys, and thrill rides that were such fun to paint–time has passed so quickly. Now a fifth decade, I hope, and thanks to a generous friend who encouraged me to enter the new age, I have a PC, a printer, and a couple of point-and-shoot digital cameras–a whole new way to view the world! Small, lightweight, and very portable–I carry a digital camera everywhere I go.